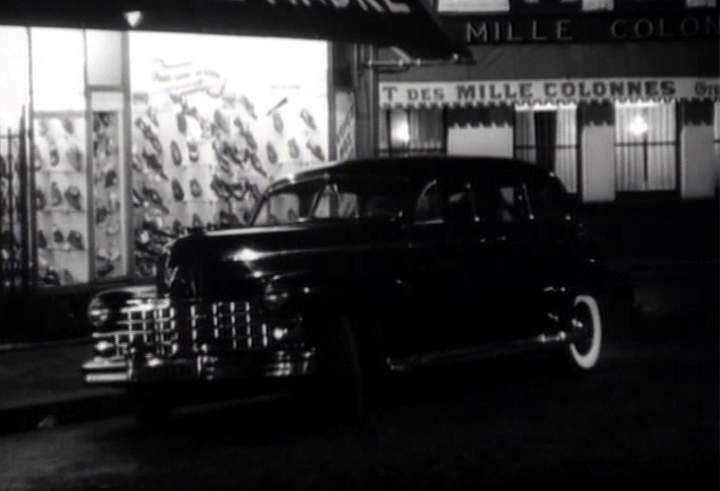 IMCDb.org: 1947 Cadillac Fleetwood 75 in "Sois belle et tais-toi, 1958"
sixcyl wrote Cadillac I guess? 1946 or 1947, Series 75 '46s have block letters on fender, '47s have script,Series 75, more up right body in '41 '42 style non 'Fade away' fenders. Series 75 . Grille is 1947-1949 certainly not 1946. It's 1947 for 95% sure (unmistakable decorative trim below headlights, sometimes replaced with fog lights but not in this instance). And "pilou" is right about the model: Fleetwood "Series 75".